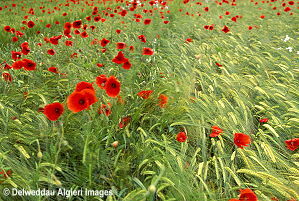 You are here: Home > Photographs > Wild Poppies. Wild Poppies in Barley field, Deeside. North Wales.